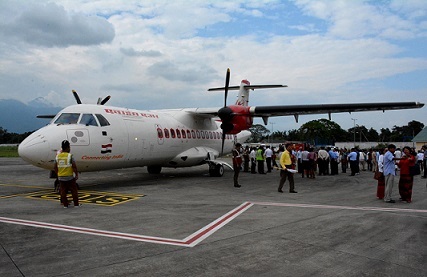 In the first commercial flight of the Alliance Air in the Kolkata-Guwahati-Pasighat route, Arunachal Pradesh Chief Minister Pema Khandu, who was also one of the passengers in the flight, landed Pasighat safely along with other passengers in Pasighat on Monday. 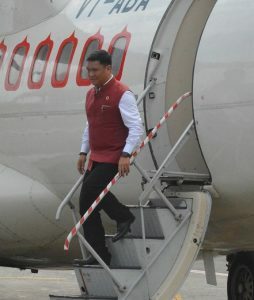 Arunachal CM Khandu boarded the flight at the Lokpriya Gopinath Bordoloi International (LGBI) Airport in Borjhar, on the outskirts of Guwahati city. 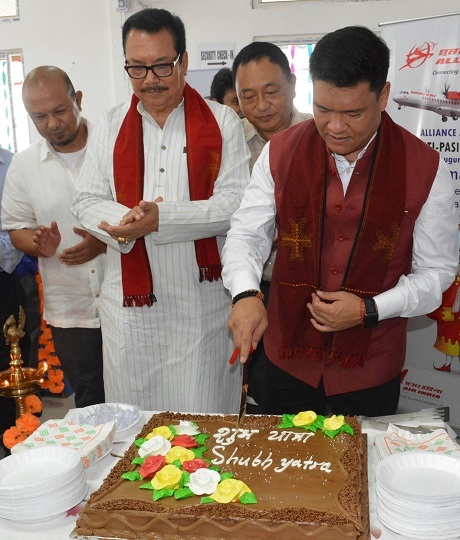 Earlier in the morning on Monday, Chief Minister Khandu inaugurated the first commercial fixed wing flight service to Arunachal Pradesh at the LGBI Airport. “Inaugurated the first commercial fixed wing flight service to Arunachal at (Lokpriya) Gopinath Bordoloi International Airport this morning by lighting of lamp. Also gave away the boarding passes of Alliance Air to passengers of maiden flight,” Khandu tweeted. As per reports, the Alliance Air (AA), which is a wholly owned subsidiary of Air India, will initially operate services thrice weekly on Tuesday, Thursday and Saturday. The planes will fly from Kolkata-Guwahati-Pasighat and return back to Kolkata after around 25 minutes on the same route.